The Barefoot World Atlas app launched this weekend, inviting children everywhere to take the world for a spin (provided they have access to an iPad, that is). 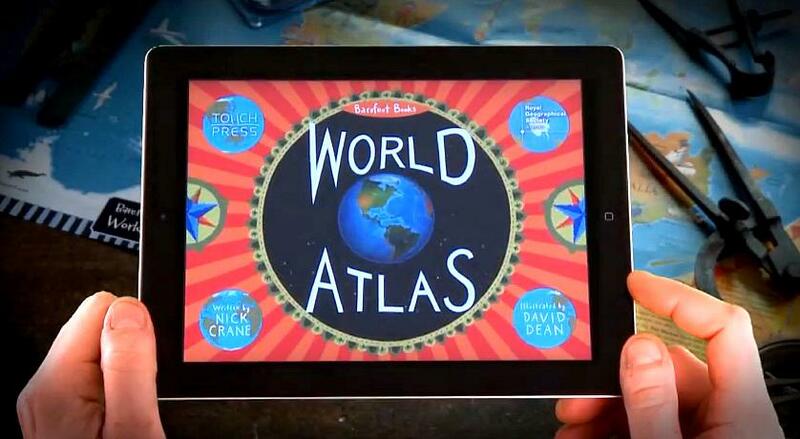 The result of a collaboration between Barefoot Books and app maker Touch Press, the interactive atlas has been specially designed to take full advantage of the new iPad‘s high-resolution Retina display. As with Google Earth, the Barefoot globe can also be spun with a simple swipe, allowing children to go on journeys to far flung places. Illustrator David Dean designed the colorful atlas, adding lots of 3D images and animations in the process. 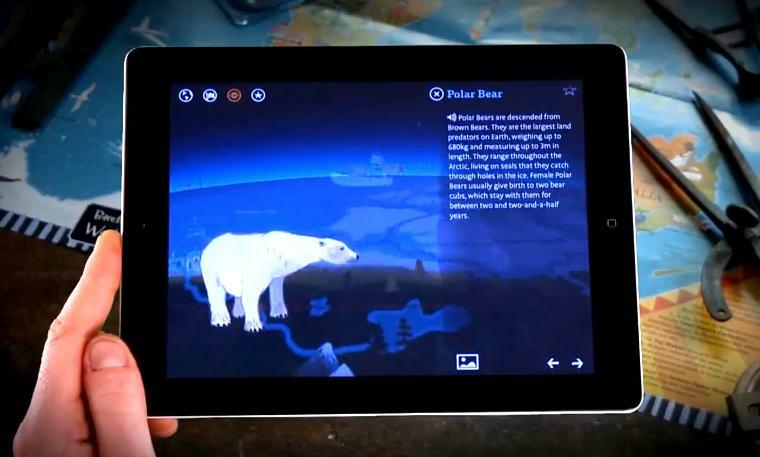 “We’ve created a magical globe that children are invited to explore,” said BBC TV presenter and geographer Nick Crane, who provides audio narration for the app. Music and sound effects for each region of the world help to further enhance the user experience, together with 3D rotations of historical objects from the Royal Geographical Society and a large collection of photographs. 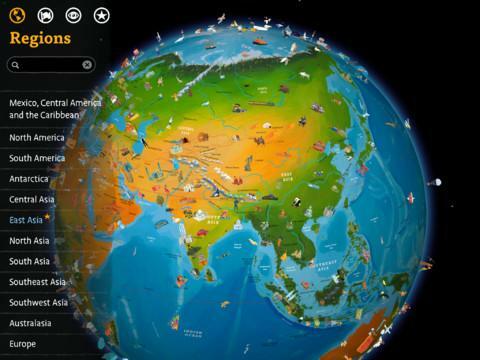 Buttons at the top left of the screen give the user quick access to regions, countries, features and favorites. If a net connection is available, the app can be used to acess live information from around the world, such as the local time and weather conditions of each country. “Children take about ten seconds to master navigation and then become explorers spending hours following their curiosity around the globe,” Theodore Gray, co-founder and creative director of Touch Press, said in a statement. Priced at $7.99 (£5.49), it certainly won’t be the cheapest app you’ve ever bought, but if it delivers as much as it promises in the video below, it could result in scores of children abandoning their beloved gaming apps in favor of a (virtual) world tour instead. One thing to think about though — Barefoot World Atlas will use a hefty 1.56GB of your iPad’s storage space, so if you have the entry-level 16GB model, you’ll need to consider whether you want to give up 10 percent of its memory for a single app.